This new release from Abbey Home Media contains the tagline 'Cautionary Tales for Lovers Of Squeam' and that really does sum it up. The DVD contains 11 episodes and has an epic total running time of approximately 121 minutes. 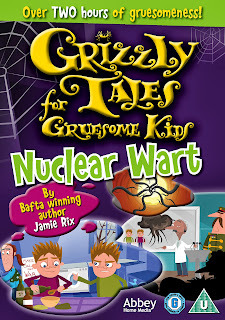 The stories are taken from a range of modern day tales by Jamie Rix, animated for DVD and narrated by Nigel Planer. Each tale has a warning for children who break the rules or are rude or selfish, or in some other way act anti-socially and then receive their comeuppance! The illustrations and animation are colourful and modern, and the people are really expressive, pulling great faces and having real character. One of my favourite episodes is The Dragon Moth, this tells us about a boy who never follows the instructions on signs and labels. At one point this has him with his finger stuck up his nose because he picked it after using superglue. It is really funny, and all of the tales are very light-hearted in spite of some of the 'terrible' fates the children face. I love Brothers' Grimm stories and have read them to all of my children, and this is in a very similar vein, but the modern aspect makes it more accessible for youngsters today. We've really enjoyed this DVD, we really like the Gruesome Tales anyway, so we've watched this through a few times in the past few days. 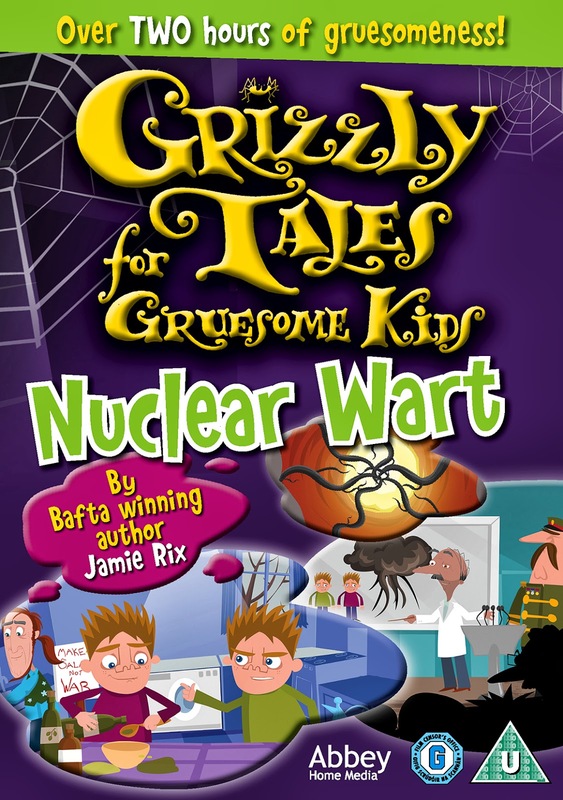 Grizzly Tales For Gruesome Kids: Nuclear Wart has a suggested age range of 3-6, but I really think that's too limited because I enjoy them and so do our teenagers. It is released on 7th October with an RRP of £7.99, and is currently available from Amazon for £6.99. I've never heard of this before but it sounds really good and certainly something I wouldn't mind watching with E.